Multimedia Journalist – Photo, video, tech, travel, social media, media training, iOgrapher, career coach, tips, tricks, online learning and more! 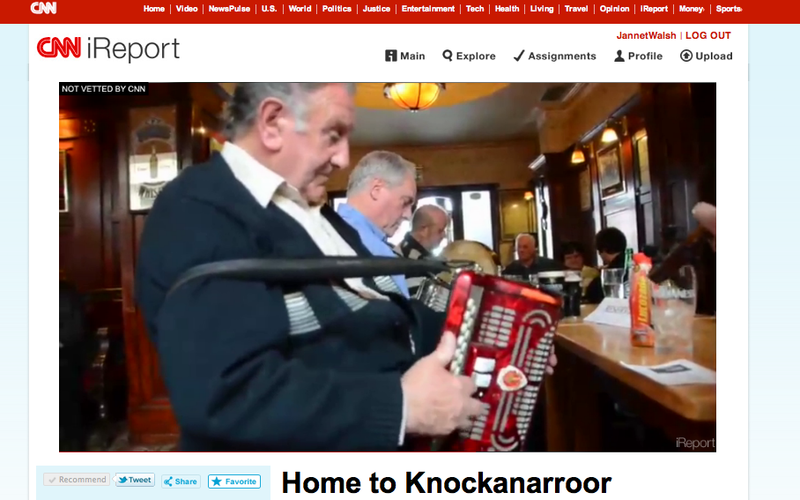 See the latest video posted on CNN iReport, complete with writiten story on my adventures of finding my Irish Roots. Click here to view video at CNN iReport. I returned home to Knockanarroor, Ireland for the first time, but I have never been there before. In April 2011, I traveled to Ireland, precisely where my Great-Great-Grandmother Ellen Brennan Foley, born May 15, 1820 in Killarney, Ireland, and died in Stillwater, Minnesota, lived in Knockanarroor Townland, pronounced “Knock-on-a-roar” in Irish Gaelic, meaning the hill of corn in English. On a cold January 2011 day, a photograph, along with a hand-written card with hints of Ellen’s life, including her husband’s name, William Foley, were found tucked away in a pillow of treasures of my late grandmother Mary Jannet “Jennie” Foley Walsh, 1886 to 1985, of Murdock. The unmarked country road my Irish roots were plucked from in the early 1840s, is located just east of the city of Killarney in County Kerry, in western Ireland. A milk lorry driver, a truck driver in the United States, Patrick “Pa” Brosnan of Muckross, in the Killarney area, pumping petro in the near by village of Barraduff agreed to guide me to the hidden location that is plain site. Ellen’s parents, James Brennan and Mary Walsh, my great-great-great grandparents, from my grandmother’s family, called the townland home, as they worked the rented land consisting of what is referred to by residents as a “poorish land” of wetlands, surrounded by bogs. The peat or turf, decayed vegetation, is cut and dried for heating and cooking fuel today, just like my family did in the 1800s or earlier, with the smoke puffing out of cottages, producing a musty smell. My family most likely served as grooms, tending to the horses exchanged on the carriage route at the end of the road of Knockanarroor, on a major route to Killarney. I traveled to Killarney in 1980, my late father, Martin J. Walsh Jr., in the 1950s, but it was not was not until 2011, I could say without a doubt Knockanarroor is home in Ireland for my family. My father and I traveled the same paths in the horse jaunting carts of what is called the old butter roads, the 1700s turnpike, but I might be the first to make the journey home to Knockanarroor. I used hints from www.ancestry.com to stitch together my ancestral threads. Archivist Michael Lynch of Kerry Library, Ireland, along with free online Roman Catholic records from the Diocese of Kerry, www.irishgenealogy.ie, provided information that my family belonged to the Catholic Parish of Glenflesk, with Knockanarroor as their place of residence. Although I did not find any living relatives in Ireland during my journey, learning about the people, their faith, village life and the beautiful Irish countryside, I was able to shine light on a period of obscurity in my family’s history. My Great-Great Grandmother Ellen departed Knockanarroor, be it voluntary or forced, due to disease, food shortage or economic reasons. I returned Ireland to answer the questions of where my family roots were prematurely pulled from the Ireland. More videos will be posted in December. 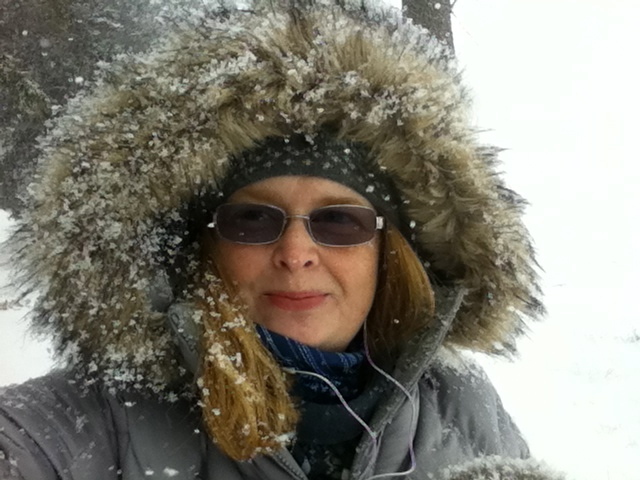 Jannet Walsh – I am looking for employment opportunites in the Willmar, Minnesota area. Please take a look at my professional profile. This entry was posted in Arbutus Hotel, areavoices, Blogging, blogs, Buckleys Bar, Catholic, community, Family, Genealogy, Glenfesk, Glenfesk Parish, Irish Ancestors, Irish Roots, Killarney, Knockanarroor, Local, lrish Catholic, Minnesota, Minnesota Native Daughter, Money, nation, News, Resume Jannet Walsh, rural, St. Patrick, state, Stephen Foley Family, Travel, Vlog, Vlogging, wctrib.com, Willmar, World, zany and tagged ancestry, Arbutus Hotel, blogging, Buckleys Bar, Catholic, County Kerry, family, Genealogy, Glenfesk, Glenfesk Parish, Ireland, Irish Catholic, Irish roots, Jannet Walsh, Killarney, Knockanarroor, laid off, Life, local, Minnesota Native Daughter, money, Murdock, nation, news, Stephen Foley Family, technology, train, Travel, video, workforce, World, zany on December 6, 2011 by Jannet Walsh. 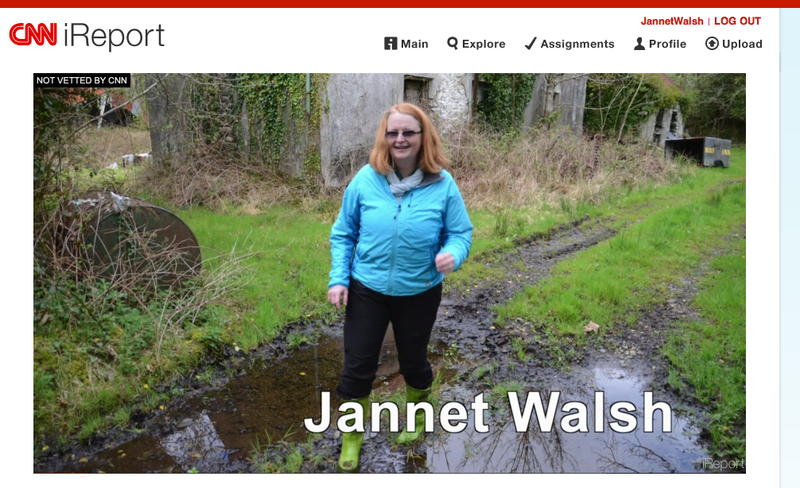 This is a video project of my journey back home to my family’s roots in Knockanarroor Townland, located just east of the city of Killarney in County Kerry, in western Ireland. Knockanarroor, pronounced “knock-on-a-roar” is an unmarked dirt road where my grandmother’s family lived at least until 1840s, before the Great Famine in Ireland starting in 1845. There are several spellings of Knockanarroor, so I am using the spelling from the 1911 Irish census. The project was photographed in April 2011. View video and full story at CNN iReport. View video in HD on YouTube! This entry was posted in ancestry, Arbutus Hotel, areavoices, Blogging, blogs, Buckleys Bar, Catholic, Family, Genealogy, Glenfesk, Glenfesk Parish, Ireland, Irish Ancestors, Irish Roots, Killarney, Knockanarroor, Local, lrish Catholic, Minnesota, Minnesota Native Daughter, Money, nation, News, Religion, Saint Patrick, state, Travel and tagged ancestry, Arbutus Hotel, blogging, Buckleys Bar, family, Genealogy, Glenfesk, Glenfesk Parish, I, Ireland, Irish Catholic, Irish roots, Jannet Walsh, Killarney, Knockanarroor, Life, local, Minnesota Native Daughter, money, Murdock News, nation, railway, region, religion, Willmar, World, zany on December 5, 2011 by Jannet Walsh.